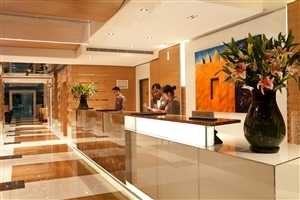 With its excellent location on the beachside of Jumeirah Beach, Ramada Plaza represents the perfect Dubai holiday destination for those travelling on business or pleasure. 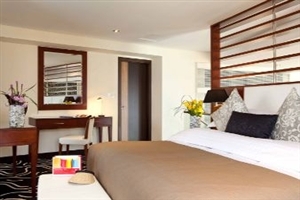 Take advantage of Ramada’s renowned standards of quality, comfort and service in an excellent beachside position, close to many of Dubai’s foremost business and leisure attractions. 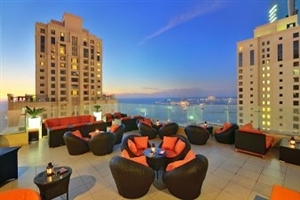 Ideal for guests of all ages, Ramada Plaza Jumeirah Beach Residence includes a heated outdoor pool, a fitness centre and a choice of on-site dining options. 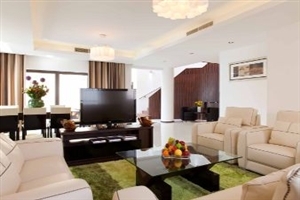 Facing the ocean, the Jumeirah Beach Residence forms an impressive skyline of Mediterranean and Arabic-styled upmarket apartment blocks. 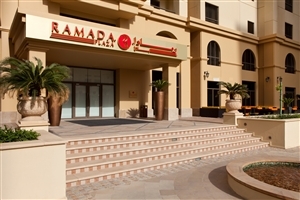 The brand new Ramada Plaza lies at the heart of the JBR, surrounded by the many outdoor restaurants, cafés, bars and shops of The Walk – one of Dubai’s latest attractions – and just a short walk from Dubai Marina. 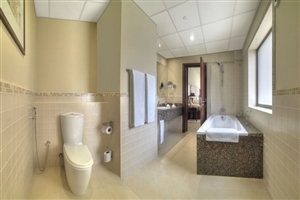 All the accommodations are luxuriously furnished in sleek modern style with studios and suites also offering a kitchenette - ideal for self-catering holidays. 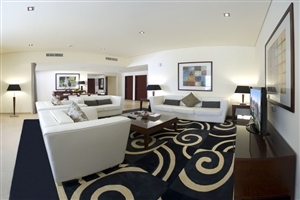 Spacious living areas plus the option to upgrade to a one-, two-, or three-bedroom suite make the Ramada Plaza Jumeirah Beach Residence a great choice for large families or groups of friends travelling together. 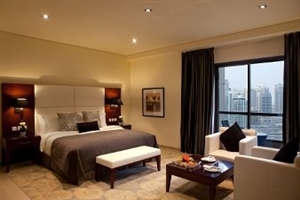 The Superior room at Ramada Plaza Jumeirah Beach is available with the choice of a king-size bed or two twin beds. 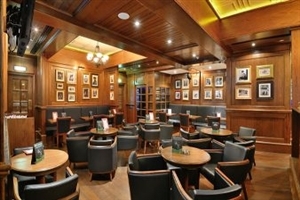 Smoking and non-smoking rooms are also available. 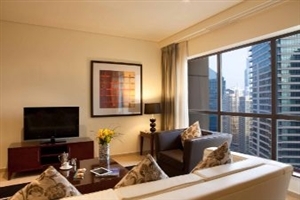 The Deluxe Studio at Ramada Plaza Jumeirah Beach offers generous amenities and practicality, including a microwave and living space. 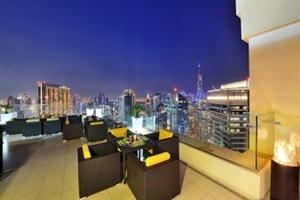 The Studio offers views across the city or the lake. 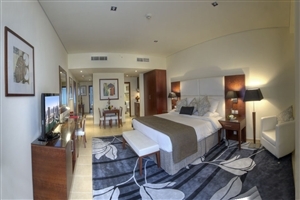 The Executive room at Ramada Plaza Jumeirah Beach offers guests upgraded amenities and services, including a king-size bed, fine linens and luxurious bathroom amenities. Guests will also receive access to the Executive Lounge, where breakfast snacks, soft drinks and tea will be available, plus wireless internet access. 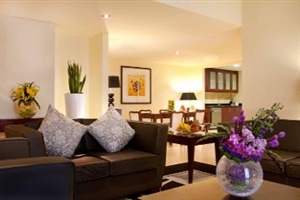 The Suite at Ramada Plaza Jumeirah Beach offers a full kitchen area, with a microwave, oven, fridge and dishwasher for your convenience. 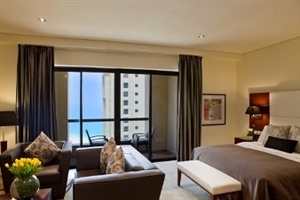 The Two Bedroom Suite at Ramada Plaza Jumeirah Beach features two separate bedrooms, plus a kitchen area with a microwave, oven, fridge and dishwasher for your convenience. 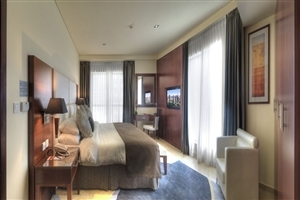 The Three Bedroom Suite at Ramada Plaza Jumeirah Beach features three separate bedrooms, plus a kitchen area with a microwave, oven, fridge and dishwasher for your convenience. 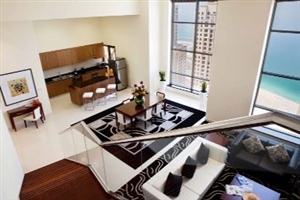 The Four Bedroom Suite at Ramada Plaza Jumeirah Beach features four separate bedrooms, plus a kitchen area with a microwave, oven, fridge and dishwasher for your convenience.